This is a very impressive book. Modern research methods – archaeological, historical, forensic – have transformed our view of the past. This is especially true of the history of the Great War. In this, the first comprehensive survey of this exciting new field, Andrew Robertshaw and David Kenyon introduce the reader to the techniques that are employed and record, in vivid detail, many of the remarkable projects that have been undertaken. They show how archaeology can be used to reveal the position of trenches, dugouts and other battlefield features and to rediscover what life on the Western Front was really like. And they show how individual soldiers are themselves part of the story, for forensic investigation of the war dead is now so highly developed that individuals can be identified and their fate discovered. 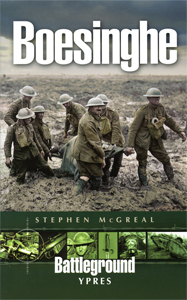 ‘The book is an excellent introduction to the subject, covering how archaeology is carried out, what it can tell us about the conditions in the front, and ending with poignant tales of four men whose remains were uncovered in the course of archaeological digs…Digging the Trenches is essential reading and unlikely to be displaced as the best single accessible book on the archaeology of the Western Front for years to come.’ Gary Sheffield, Military Illustrated ‘A comprehensive introduction to the archaeology of the trenches by two of its leading members. The authors weave together historical background and archaeological techniques. What a splendid book this is, combining clear archaeological explanation with intimate insight into the realities of life, work, and death on the Western Front 90 years ago. Strongly recommended.’ Neil Faulkner, Current Archaeology Modern research methods – archaeological, historical, forensic – have transformed our view of the past. This is especially true of the history of the Great War. In this, the first comprehensive survey of this exciting new field, Andrew Robertshaw and David Kenyon introduce the reader to the techniques that are employed and record, in vivid detail, many of the remarkable projects that have been undertaken. They show how archaeology can be used to reveal the position of trenches, dugouts and other battlefield features and to rediscover what life on the Western Front was really like. And they show how individual soldiers are themselves part of the story, for forensic investigation of the war dead is now so highly developed that individuals can be identified and their fate discovered. 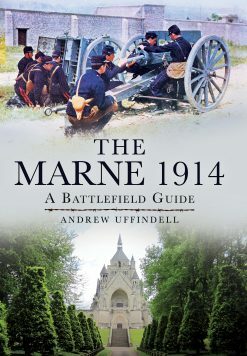 About the authors Andrew Robertshaw is curator/manager of The Royal Logistic Corps Museum in Deepcut, Surrey. For the past twelve years he has been coordinating a group conducting an archaeological dig of British trenches and other sites on the Somme. He frequently appears on television as a commentator on battlefield archaeology and the soldier in history. David Kenyon is an archaeologist who has worked all over the UK as well as in Europe and the Near East. He has a lifelong interest in military history and in the Great War in particular, and he is one of the most experienced Great War archaeologists in the UK. He was the lead archaeologist on the TV project Finding the Fallen, and he has contributed to many other Great War programmes.